The field of 48 will be cut back to 24! The top 20 of the original 28 will compete. 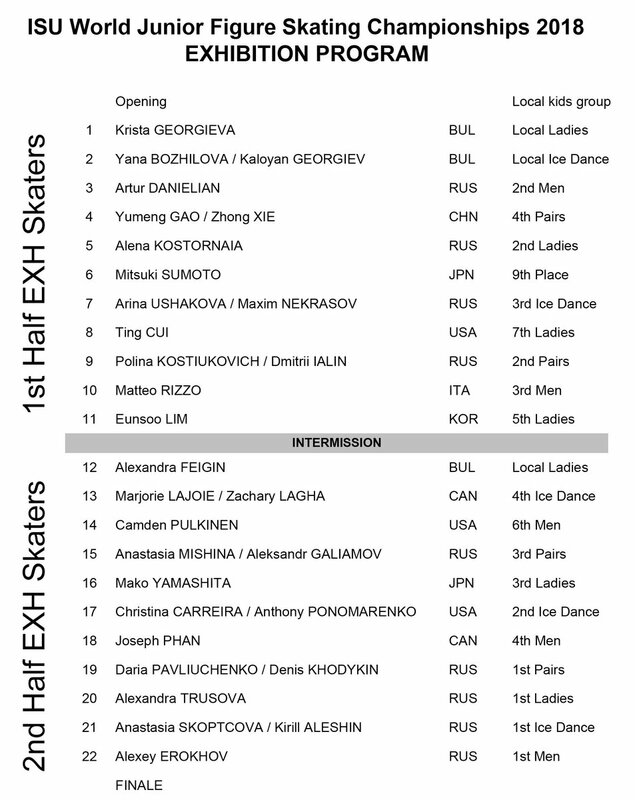 The top 24 will move on to the free skate. Last edited by Elizabeth on Fri Mar 09, 2018 1:32 pm, edited 1 time in total. The men will be followed by the ladies - the information on them is in another post above. Alexandra Trusova, 13, won the ladies short @ World Juniors today. She said: “I have two quads (Salchow and toeloop) in my free skating and I want to land them and skate clean." Unfortunately, CBC seems to have a problem with the live stream for the men's FS this morning - I get an "Error 404" when trying to watch. Last edited by Elizabeth on Sat Mar 10, 2018 11:18 am, edited 2 times in total. As noted in the Worlds thread, Matteo Rizzo will need to get some rest before his 12th competition of this season!! Today he was the first Italian man to medal at Junior Worlds and first Italian skater since Carolina Kostner in 2003 to stand on the podium. I believe she had the 3rd highest free skate score ever - behind her two compatriots (and training mates), Zagitova & Medvedeva. She will not be old enough to compete at Worlds until Montreal in 2020 - will she still be around or will a new "wunderkind" have replaced her?!? Wow, I don't think we have to worry about figure skating getting boring after our favourite skaters are retiring. I think that's a sure thing!! Only half of the Men's FS is shown on CBC so I haven't seen the conclusion. Yes, I know it's elsewhere but I haven't had the time to search for the rest. I wrote to them, but haven't heard back. 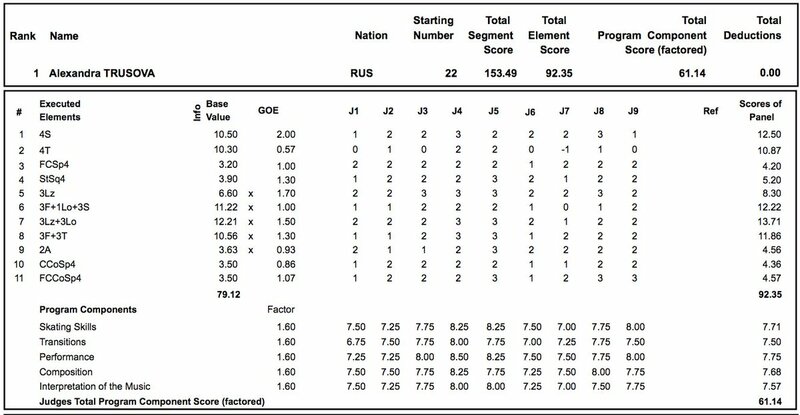 They say Men's FS like it's the whole thing, but it stops after Joseph Phan. I've always liked his skating...good for him. I posted about a problem with the live stream of the men's FS at the time that it was actually going on. Apparently they weren't able to retrieve the video. You might be able to find it on www.rockerskating.com as Jackie Wong has many of the programs up.